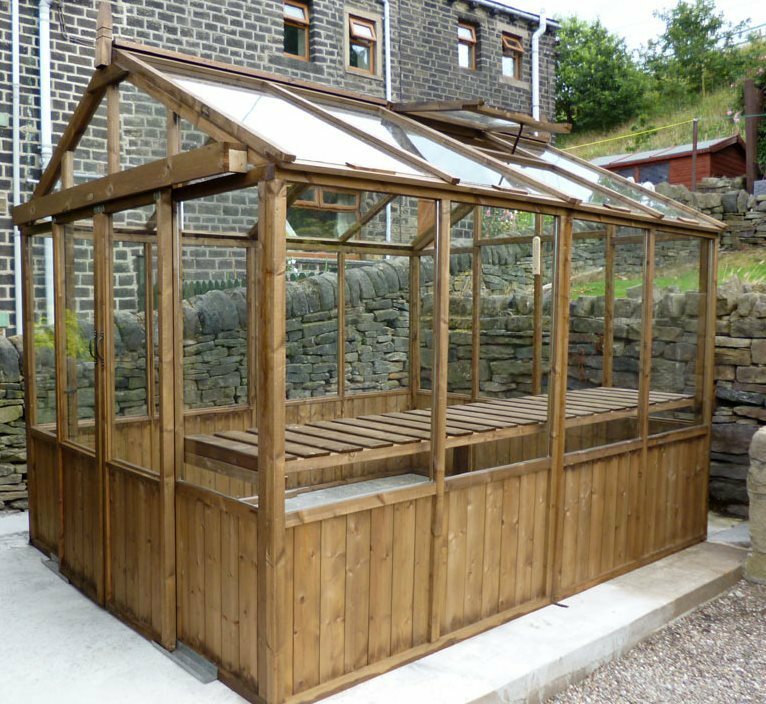 Our traditional apex timber greenhouse is manufactured in pressure treated tanalised timber. 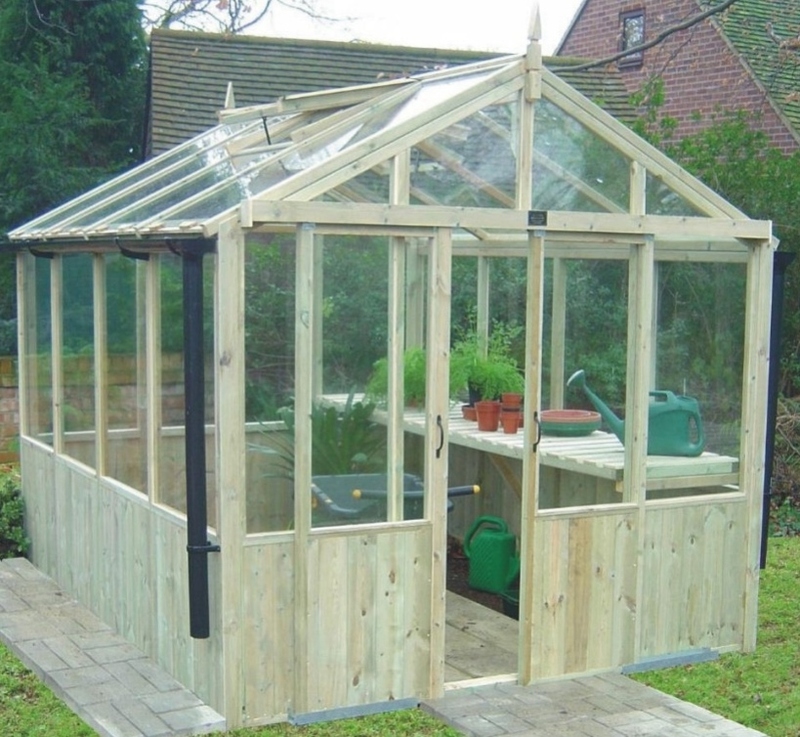 Staging is fitted along one side but additonal staging can be fitted as an optional extra. 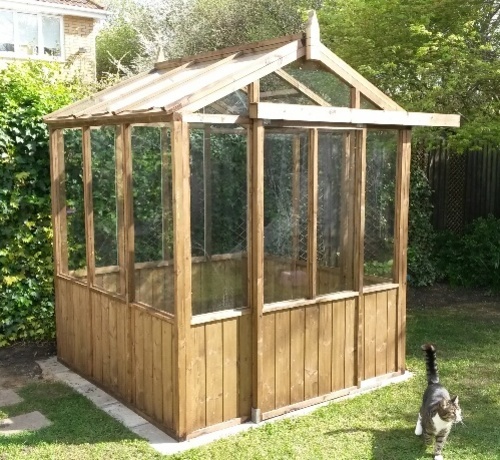 Two opening windows in the roof provide sufficient ventilation and easy access into the greenhouse with the 6' gable which has a single sliding door and the 8' gable which has double doors. 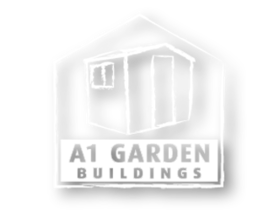 Gutter supplied as optional extra.